Who are the Early Myths children’s books aimed at? These books are designed to be read by children and parents, with the aim of appealing to children between the ages of 4 and 10. 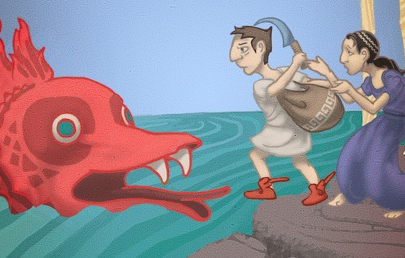 However we believe that they act as a great introduction to Greek myth for anyone of any age. Why is the Early Myth series different from any other myth books? These books have been carefully designed with children in mind, with a special look at the earliest versions of the stories, at times dating back to nearly 1000 B.C. Wherever possible, we have tried to base the tale and our images around an original source- an ancient vase painting, an original example from literature, or a sculpture from ancient art. Does my child have to know about this background source...!? Absolutely not! We have grounded our children’s books in the earliest versions of the tale to get the most original perspective on the stories. We hope this helps and enhances the tales but this need not impact on the reader. We have just lovingly assembled and presented the oldest versions of the myths, so you know that time and effort has gone into our choice for the ingredients in our stories. Grown-ups will know the value behind the ingredients; kids will just explore the story. Are there really different versions of one story? Yes. Each myth can have many different variants. As the myths were told again and again through Greek and Roman times and through to the modern day, the story developed and changed. Our choice is to try to choose the oldest pieces and we have done this through both literary and visual art. Aren’t the tales a little scary? The myths have their fun parts and some occasional scary parts (seriously, very few!). Within reason, we have chosen to not conceal or hide the fabulous elements of the tales. 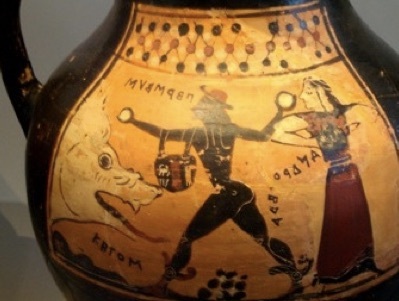 For example, Perseus meets the scary Gorgon, Medusa, and promptly lops off her head! This is a central part of the myth and so excluding or softening this down would make the myth unusable. Parents can decide how they tell or explain the myth, but it is normally the older readers who read more into this, and the kids just love them! Think of the fantastical elements as being on a par with Enid Blyton or Harry Potter.